Who: For the second time in three months, Prime Minister Narendra Modi met with a group of delegates from the film industry to discuss its role in the country’s development. As has been customary in each event involving the Prime Minister, several photographs were clicked and shared online, quickly bringing to notice the fact that this panel had in fact been a “manel” — composed of men alone. Present, among at least 18 members, were such prominent Hindi film directors, producers, and actors as Karan Johar, Akshay Kumar, Ritesh Sidhwani, Ajay Devgn and Prasoon Joshi. Many observers expressed disappointment. “Would be great to have female representation in these delegations. It is 2018,” filmmaker Alankrita Srivastava wrote in a tweet, which was endorsed by Twitter users and industry insiders such as director Nikkhil Advani. A similar scenario had played out not long ago, on October 25. 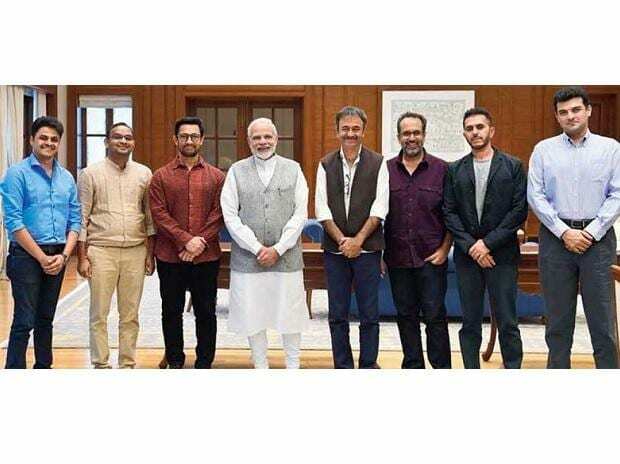 A photo tweeted by film business analyst Taran Adarsh inadvertently brought to light the fact that a delegation from the industry that met with the Prime Minister then had been all-male, too. It included Aamir Khan, Sidhwani, Aanand L Rai, Siddharth Roy Kapur, and a few others. On both occasions, while the reference has been to the “film and entertainment industry” in general, a lack of representatives from the regional cinemas has been discernible. What: A tweet from Modi’s account described the interaction as extensive and fruitful. “They talked at length about ways to further Mumbai’s development, particularly with regard to making it a global hub for entertainment.” Apparently, lower and uniform rates of GST for the cinema fraternity were among the pitches made by the delegates. While this latest discussion was centred broadly on “the development of India”, the earlier one had been on “how the entertainment industry can contribute more in nation-building” — both matters of general importance from which it seems unfair to exclude women. Such a composition also means any chance to bring up women’s issues was likely limited. These meetings have come in a year when a woman filmmaker’s work — Village Rockstars by Rima Das — had been the Indian entry to the Academy Awards (the film recently went out of the running). Further, just months earlier, women in the industry began raising concerns about the inappropriate sexual behaviour of powerful men in filmdom. How: It is not clear whether women stakeholders had been invited at all to these discussions with the Prime Minister. Throughout most of the history of cinema in the country, however, women have been involved in various capacities including writing, direction and acting. In India, as has been the case internationally, gender inclusiveness is a matter of which people across industries are slowly becoming aware. If questions like the pay gap or sexual harassment are to be addressed, asking women to be a part of industry delegations will be as important as launching films with women-centric themes. Where: The delegation met in a well-appointed room in the Raj Bhavan, the official residence of the governor of Maharashtra, where Modi was on a visit. Governor Vidyasagar Rao and Maharashtra Chief Minister Devendra Fadnavis were the other men present on the occasion. “The delegation spoke about the strides being made by the film and entertainment industry,” Modi had tweeted afterwards. But there is evidently a lot of ground still left to cover.